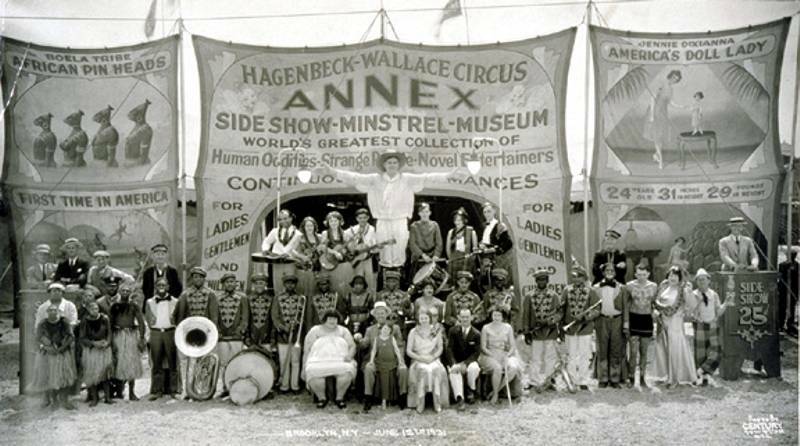 Did You Know,the Hagenbeck Wallace Circus collected large amounts of silver and currency. To prevent it from being stolen owner Ben Wallace shipped it back to Peru, IN., in barrels labeled nails. The banks were unwilling to handle these large amounts so Ben organized a new bank to handle the transactions the "Wabash Valley Trust" (later named the Wabash Valley Bank). The third floor of the building was used for making circus circus wardrobe. Livery stable and lumber yard owner, Benjamin E. Wallace of Peru, Indiana had an interest in owning a circus. 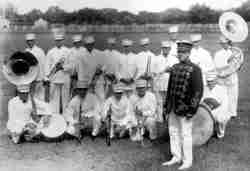 Wallace and a business partner James Anderson, began acquiring equipment, Wallace went to Detroit and purchased harness and wardrobe from the troubled "W. C. Coup Circus". Anderson purchased more equipment from the auction of the Nathan and Co.'s Circus. The circus opened April 26, 1884 in Peru as the "Wallace and Co.'s Great World Menagerie, Grand International Mardi Gras, Highway Holiday Hidalgo, and Alliance of Novelties". In 1890 Wallace bought out Anderson and became the sole proprietor of the show. 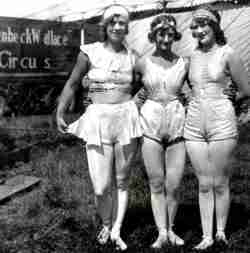 For the seasons of 1892-1894 the circus operated under the name of "Cook and Whitby's European Circus, Museum and Menagerie". In 1885 it became the "B. E. Wallace Circus" and was loaded aboard a riverboat and barges and showed along the Ohio and Mississippi rivers. 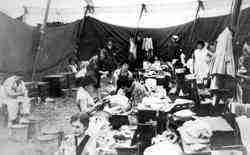 In 1903 Animal importer and trainer Carl Hagenbeck opened the "Carl Hagenbeck Circus". Carl had been operating animal exhibits since 1877 in the United State and Europe and the name "Carl Hagenbeck" had become well known. 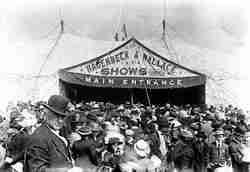 In 1907 Carl Hagenbeck's circus was purchased by Ben Wallace, the two shows were combined as the "Hagenbeck-Wallace Circus". 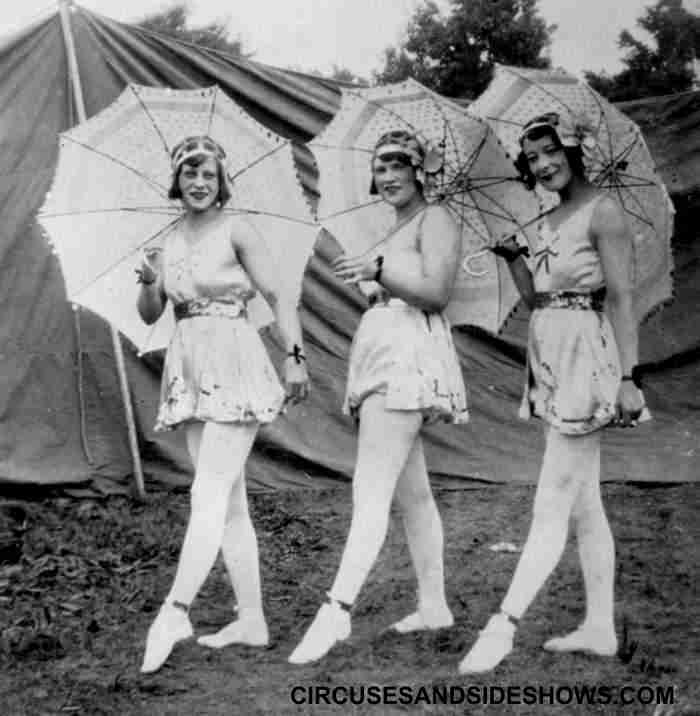 During the circus' years of operation it suffered many tragedys. 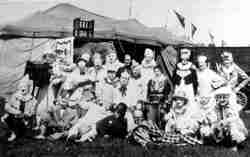 On July 16,1903 the circus train wrecked in Shelbyville, Illinois killing 2 people and four injured, two weeks later on August 6, 1903 in Durand, Michigan the circus' train again wrecked this time killing 35 with 121 injured. 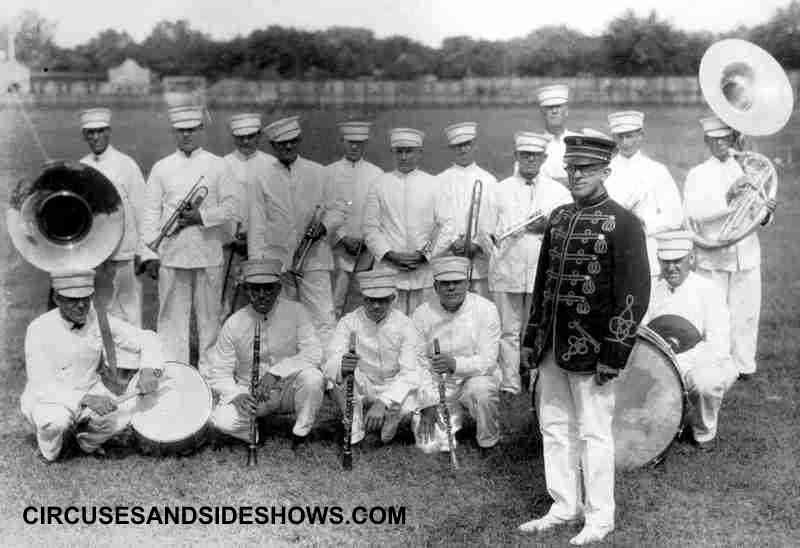 In 1913 the Wabash river which run near the circus' winter quarters rose so suddenly that show employees were unable to move equipment and animals out of way. The show lost elephants, horses and much of the show equipment causing serious financial lost. 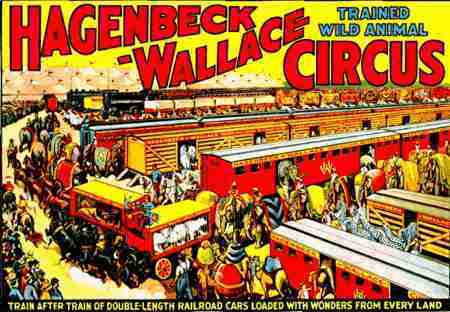 The Hagenbeck Wallace Circus train wreck. 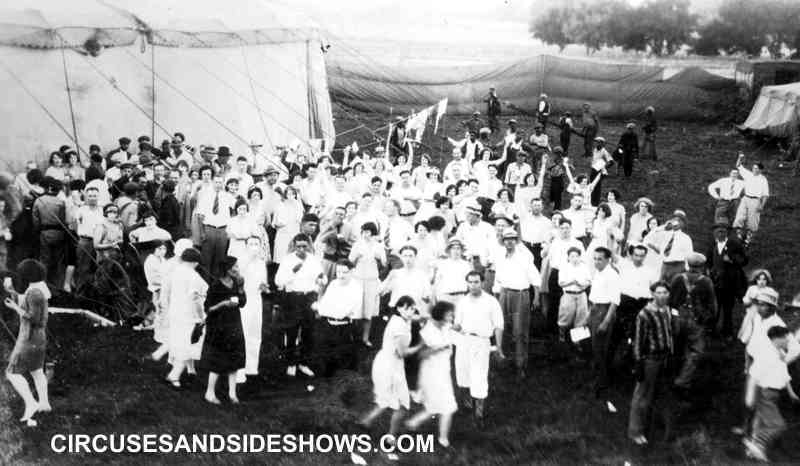 On June 22, 1918 near Hammond, IN., the Hagenbeck Wallace Circus suffered one of the worst tragedys in U. S. circus history. At 3:56 AM the Hagenbeck-Wallace train stopped to check an overheated wheel bearing on one of the flatcars of the 26 car circus train. A empty troop train with 20 Pullman cars was on the same track moving ahead at full throttle, with engineer Alonzo Sargent asleep in the cab. The train slammed into the circus train. 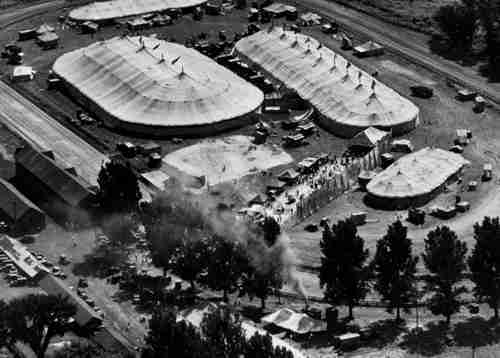 Of the 400 circus personnel aboard the train 86 died and 127 were injured. A fire spread quickly through the train burning many of the bodies beyond recognition. 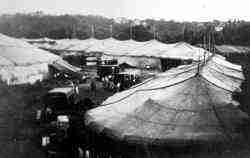 After the flood of 1913 a discouraged and ageing been Wallace sold the circus in May. The show was sold to a syndicate formed by, C.E. Cory (nephew of Wallace), John O. Talbot and Edward W. Ballard. 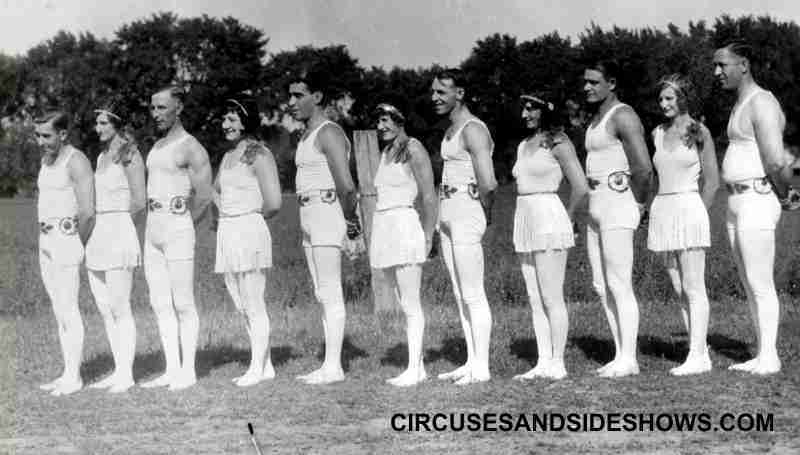 In 1918 the circus was sold again to Jerry Mugivan and Bert Bowers who owned Howes Great London Shows, Sells Floto Circus and Robinson's Famous Shows, they then took on a third partner, Ed Ballard and formed the American Circus Corporation. 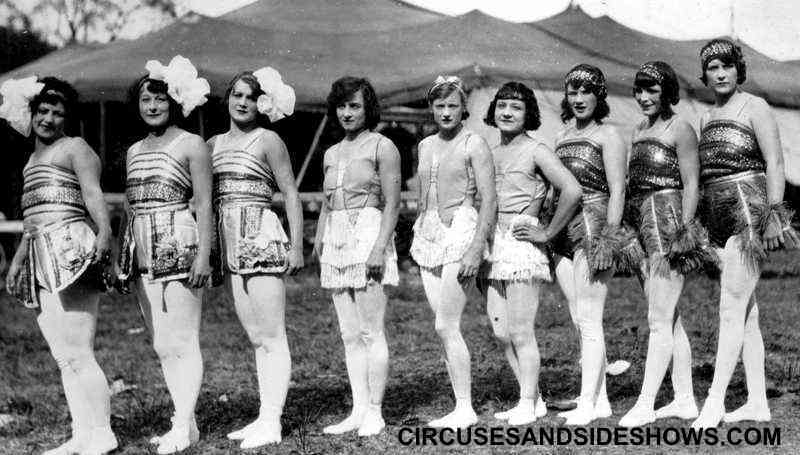 In 1929 John Nicholas Ringling purchased the "American Circus Corporation" from Jerry Mugivan and Bert Bowers and Ballard, for 1.9 million dollars. The circus was operate it for several years until 1938 when he made the decision to close the circus. 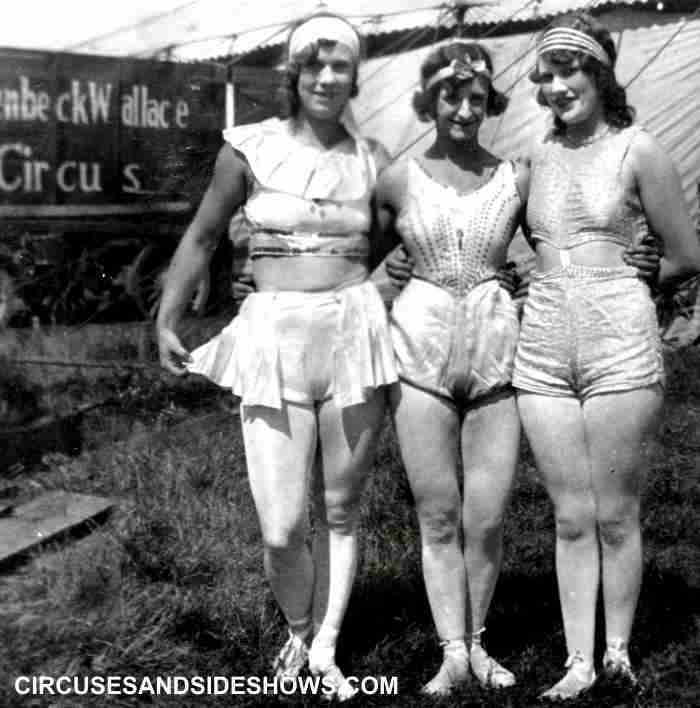 There were many famous performers who began their career on the Hagenbeck-Wallace Circus, Emmett Kelly and a young clown named Richard Bernard "Red" Skelton.